We are a global network of facilitators who are passionate about changing the way people make decisions that impact the world. We design, convene, and facilitate at the intersection of systems, locally and globally. We excel at facilitating co-creative processes that enable dialogue, critical reflection, and informed action. We play with wicked problems. We partner with organizations and networks to design systems and structures that enable individuals and groups to learn, collaborate, engage in deep dialogue, and take informed collective action. Our global network focuses on engaging at the intersection of systems. We make connections across networks, help orient and convene around a critical purpose, and facilitate to achieve meaningful and sustained solutions. Our belief is that the “wicked problems” of our time are so large and interconnected that our appropriate response can only be constructed through a process we call emergent design. 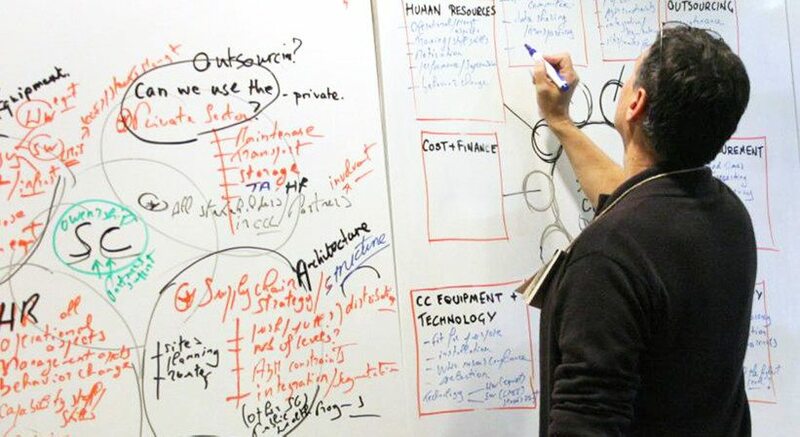 Our expertise lies in combining design thinking, visual communication, network science, interactive technology, group facilitation, and collaborative decision-making tools and techniques. We create space for leaders to see, think, and interact differently to achieve genuine understanding and positive change. We support critical decision-makers around the world and provide them with practical and effective tools that support collaboration and informed action. We support and empower a global network of highly skilled practitioners to innovate and extend the reach and impact of their work.